Beth- i need your help – can you give a look? gnomish, will take a look. Hunting the Snark, eh? We will catch and kill the Boojum! Time it got its comeuppance! It was a great boon to the world that Leonardo could not get an education. He had to think and observe instead. All models generate bunk, the bunk factor increasing with the variability and complexity of the subject. Models don’t need to work to fulfill their purpose, they just need to provide cover for corporate undertakings and possible failures. Instead of “the dingo ate my homework” it’s “most models agreed”. I’m reminded of the very bright transistor man and NAS member, Shockley, who applied his predictive and computational skills to encourage the proposed massacres of Japanese civilians at the end of WW2. A grateful nation said “bombs away!”…which they were going to say anyway. The fellow remained in vogue till he started to apply his statistical mastery to domestic population reduction in peace time. Glad yr liked the post,…Thx fer the song. What a voice and rendering. Toffs never disappoint, talent put ter good use, like yer say. Brilliant essay, Beth. Please check the date of of the paper that you are quoting. ….My bad. You were of course correct on the date of the Lindzen paper. Hunter, yes Lindzen prescience, so he has to be attacked by the ‘conscensus-sci. And Hunter, ‘A Happy Xmas ‘ to you. Ahhh, a fellow denizen familiar with the fine work of the inestimable Edward Gorey. … couldn’t get the image of the Wuggly Ump to post, sadly. The image of the three lovely children being digested by the monster sends a strong message…. 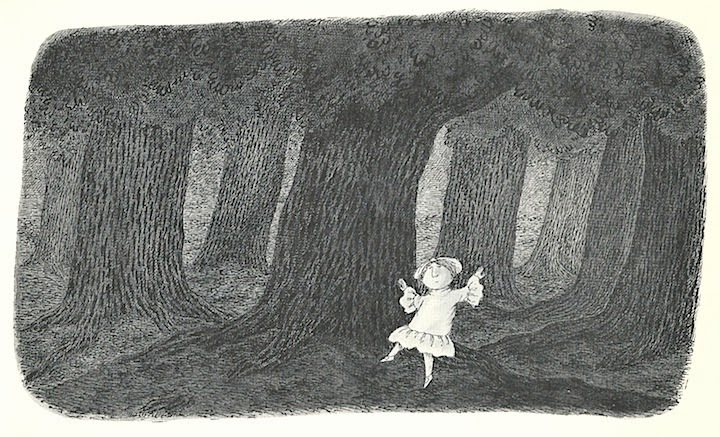 If I could come back in anuther life, might be as an artist/cartoonist like yr Gorey or yr Thurber. Thank you! And a very Merry Christmas to you and yours. Serf in training pokerguy speaking. I drop in from time to time and always intend to say hello. I become more scattered by the year, and I started out scattered. So you can just imagine what I’m contending with at 67. Your blog is magnificent, Beth. I admire your work so much! wonderful to hear from you. So miss yr comments at Climate etc. You, kim, manacker. Come in more often. Hope you are still playing the piano. ) Gonna’ attempt another post on propaganda soon. Hi, pg, I always appreciated your posts. I’m surprised at your age comments, given that you are almost a spring chicken compared to me. I miss yours too Beth.The old crowd seems to have dispersed (completely ridiculous how I can work up a serious case of nostalgia for just about anything.) Although I can’t say for sure as I stop by only rarely. I do see Kim’s comments on WUWT from time to time. So many brilliant, talented people in these parts, including it goes without saying Beth the always bravely toiling, noble serf. It’s a comfort. Truly. And humbling. Gives me hope that the tidal wave of progressive insanity will recede before it drowns us all. I promise I will stop in on a regular basis from now on. Propaganda is a fascinating subject. I look forward to it! Just watching a documentary on WW1 and Wilson’s use of same to “great” effect. Clara Schumann. It’s painfully lovely. She was magnificent in so many ways. Yes you keep visiting me at Serf Under_ground, pokerguy. 🙂 Re Clara Schumann I know that she played her husband’s work in performance but I do not know her own work. I was brought up with classical music as my mother was a very lovely pianist, her music examiners said she could become a performer at the highest level , but she married instead. So we got the benefit. Lots of Beethoven sonatas, Chopin, Schubert. … and we got the bethefit,or bethenefit, perhaps. Thanks, beth’s mum. Take this out for a little spin should you find yourself inclined. Endlessly inventive, utterly charming, lovely, lovely, lovely 🙂 I’ve read she became convinced women weren’t equipped to compose! By the way, I just now went in to Judith C, first time for ages. Come in, lol. Search “clara op 6 no 2.” Most of the recordings I’ve found are excellent. If it were the coffee shop down the street, you couldn’t keep me away! dear pokerguy I will. You and I share some tastes. Thomas Hardy 🙂 Tess DD. I haven’t read that one, Beth. Yes to Jude the Obscure (smashing title), Tess naturally, Return of the Native. I think that’s all. I’m going to order up a copy of Madding Crowd right away. I’ve let my reading languish shamefully. I love deeply human. I bet we have a lot of literary likes in common. What’s your position on Dreiser? Both Sister Carrie and American Tragedy blew me away years ago. Sister Carrie so painful. Also A.T. Even loved the movie with Liz and Monty. My God she was beautiful. I have to get my mind on my next post soon, so it will be a while before I get into the Dreiser, and when I do I will email you my response to it. I’ll be interested to hear what you think of FFTMC. It’s an unusual book, Gabriel and Bathsheba, there’s a wonderful storm scene, which I think you will like.